Yes, I know. You couldn't sleep for the past 2 weeks because you have an interview and you want to impress your future boss. Sapioblog to the rescue! This knot, called the Eldredge Tie Knot, will give you the edge you need to nail that mofo down. 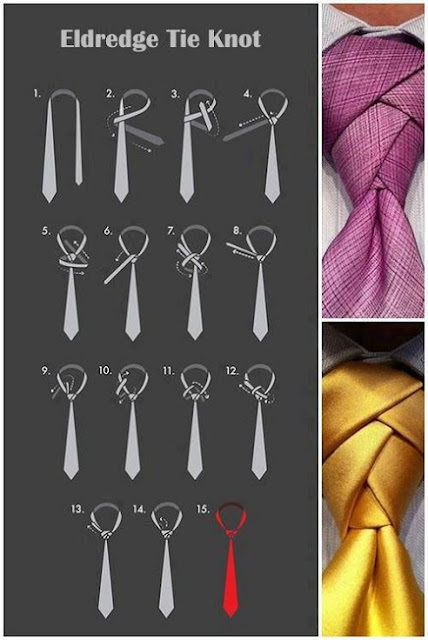 I don't wear a tie to work, but now I know this knot, damn I want to bring one. Chewing-gum portraits. No, not the way you think! How do men, real men, split Oreos? Science Saturday: have you heard of Paul Dirac? The magnetic blob is here to eat us!